Nick Schultz | The Phoenix Sophomore guard Lucas Williamson prepares to shoot a free throw. Sophomore guard Lucas Williamson broke his hand in a physical 79-65 loss to No. 5 University of Nevada Nov. 27 and will be sidelined until January, Loyola Athletics announced Wednesday night. During the postgame press conference, Loyola head coach Porter Moser alluded to Williamson having an injury due to a “swollen hand.” The injury wasn’t confirmed until Wednesday evening. “This is a tough blow for Lucas and for the team, but [it] is a great opportunity for someone to step up like Lucas himself did last year when Ben [Richardson] was injured,” Moser said in a statement. Last year, Richardson injured his hand during the third game of the season. 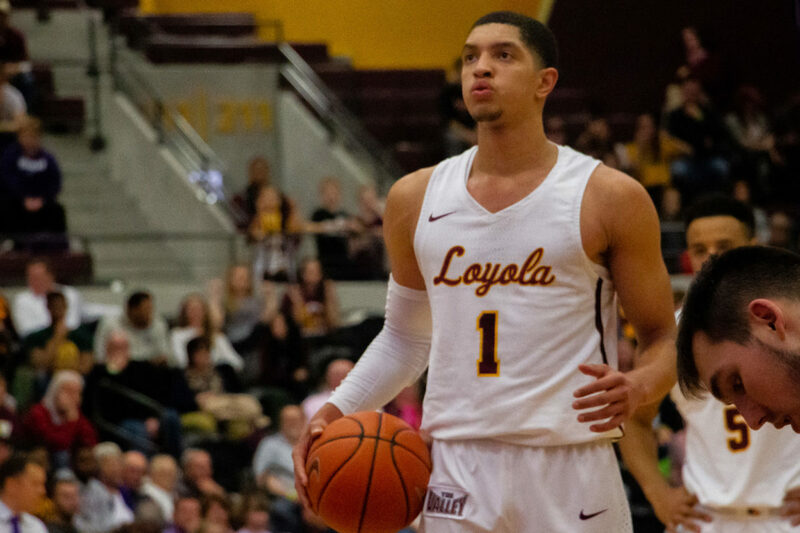 After he returned from a 10-game absence, he became an integral part of Loyola’s Final Four team. Richardson was seen as Williamson’s mentor last year — the two even compared each other to “father and son” throughout the season. In seven starts this season, Williamson is averaging 8.9 points per game, 7.1 rebounds per game and 2.9 assists per game in 29.9 minutes per contest. What else can go wrong for us this season?